Prayer Can Help Ministries - Jesus Christ is Lord! Thank you so much for stopping by! We truly appreciate you taking time out of your busy schedule to check us out. On the following pages you will find information we hope will uplift, encourage, and challe﻿nge you. Jesus Christ died so that everyone would have the chance to live forever, promising all that believe and call on His name will be saved. We share His message with everyone. If you want to see what we are about check out the ﻿Archives page﻿ to view past teachings, sermons, and messages. In all you do seek Jesus first. We are a mobile Church (think of Paul and Silas), we gather together for prayer, bible study, and fellowship. We also post all the Church sermons online through YouTube to share with the world. We send out materials such as bibles and other faith fortifying items upon request. 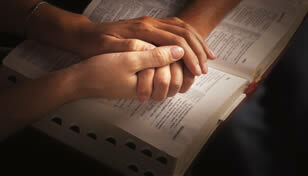 We openly recieve and pray over and with all prayer requests sent by text, email, or that are called in. The Church evanglizes the Gospel of Jesus Christ in Maryland, Virginia, and Washington D.C. to spread the message, hope, and love of Jesus. We provide localized in home services available with scheduled appointments, . Contact us for more details. We are on facebook you can message us there or post, you can text us, send us a email, write us a letter, or give us a call. So never feel isolated, you have someone who loves Jesus and loves you, be encouraged, we will do our best in the Lord Jesus to be here with and for you! God is gonna get you through and we are gonna pray you through!